If you loved The Kissing Booth and Jenny Han's smash-hit Netflix movie To All The Boys I've Loved Before, you'll adore this gorgeous, funny, romantic series! This special three-in-one edition features exclusive special content, including Conrad's letters to Isabel. Every year Isabel spends a perfect summer at the beach. But this summer is different. This is the summer she turns pretty - and the year two brothers will notice her for the first time. Jeremiah - cute, relaxed - the only one who's ever really paid her any attention. Soon friendship is no longer enough. From first kisses to first loves, seasons pass, promises are made and hearts are broken. And before long, Isabel must make the must make the biggest decision of her life - which Fisher boy will she choose? 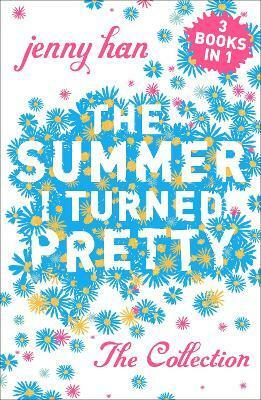 The Summer I Turned Pretty Collection brings together all three bestselling books in one: The Summer I Turned Pretty, It's Not Summer Without You, and We'll Always Have Summer. It's the perfect series to lose yourself in this summer!